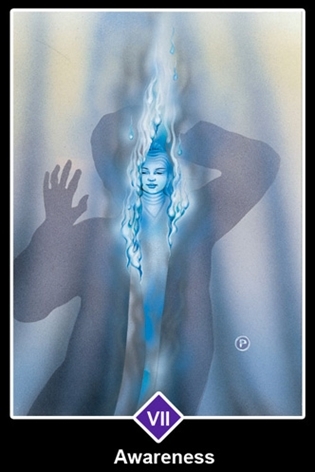 The veil of illusion, or maya, that has been keeping you from perceiving reality as it is, is starting to burn away. The fire is not the heated fire of passion, but the cool flame of awareness. As it burns the veil, the face of a very delicate and childlike buddha becomes visible. The awareness that is growing in you now is not the result of any conscious ""doing"", nor do you need to struggle to make something happen. Any sense you might have had that you've been groping in the dark is dissolving now, or will be dissolving soon.